Well, this strip isn’t entirely true… my hat isn’t red. I actually do have a chicken named Hussy. All in all, I really want to thank everyone for their support. Seriously, when people ask what I like about drawing comics, one of the things I always say is that I’m really lucky to have a bunch of truly awesome people who read my comics. So, thank you. I’m really diggin’ the comic. You’re right, your style has grown and your skill has expanded. Funny how it does that, isn’t it? Oh Hussy. What a little rascal. Also wondering how you got those candles to stay on you like that. Cool little trick. Awesome ambiance sticks to awesome people like that. Just like my detachable chainsaw-launching crossbow arm or actually coercing a T-rex into marrying you, it’s possible if yer awesome! Suddenly the question “who came first, the chicken or the egg?” takes on a whole new meaning. I’m glad you think we are as awesome as we think you are. I heart you Scott! Also, I thought you should know that your comic is always the highlight of my day! To be honest, I usually only notice that you’re late b/c you apologize preemptively. So stop it, your work is so stupid awesome that MOST people are drooling too much to really notice. Anyway, AWESOME COMIC, you keep rockin’! Anytime my good sir, your comics keep me entertained which in turn keeps me out of trouble or doing something that would otherwise inflict great harm to myself. Bear jousting anyone? HEY! “YOU SHUT YOUR WHORE MOUTH!” is my catch-phrase! At least, I think it is… Or did I steal it from you a while ago? I don’t recall, but it is rather catchy, isn’t it? The dapper skeleton was for a potential 4th comic Scott wanted to start. However real life happened and it has not gotten off the ground. I do not know if it is still planned for eventual unveiling. I think your just paranoid over fillers becoming canon after what happened to the Nergil fillers. Scott can draw anything dapper, that’s one of the few constants in his work. The other being a steady improvement of art in general. Oh Gasps! what a sassy chicken! I can’t stop laughing at the chicken. Soooooo… THIS is the guy that put the curse on Nergil. That…. actually… explains a lot! And not just in the “fourth wall” way. In story, and out of story, that’d be interesting. Is-is that pac-man in your right eye? Whenever I recommend your work one of the things I list is how your art noticeably improves before our eyes as we follow you. It’s like watching one of those time lapse videos. LOL Talk about an abrupt halt to the Thank you speech but man, I love that chicken. MMMmmmm…..smokey Chicken. Scott…is Nergil based off you? Same red gloves and junk. Also…Scott? 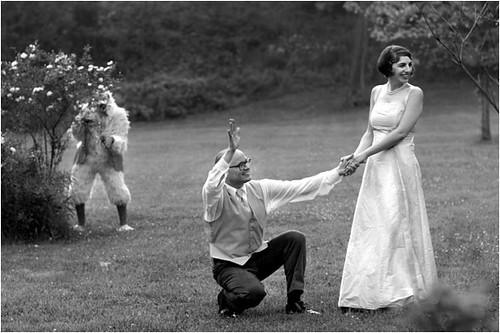 If you ever get married…you’d have to get married on your farm so Hussy could be there! (I’m secretly going “D’awwww” at the thought). I’ve been forgetting to ask how your chickens did during the flood! Hopefully they were alright and there weren’t any snakes hiding anywhere! Nice to see you’re back! Junk is a hot topic of conversation in most of Scott & Joenis’s streams…You’d be surprised! Scott…How the hell are you drawing these without electric? You know, I never considered this before, but I must admit…..a top hat atop a hat does, indeed, increase the amount of “proper of the individual wearing it regardless of how ridiculous it may have sounded before I saw it in practice. How did I not know you had chickens? My whole original perception of you was a LIE! Well, except for the fact that I always knew you were awesome. Wearing twice as many of something awesome makes the person wearing them extra awesome. It’ll never listen to you if you don’t slap the chick around a bit. Love it. That’s enough of that hen crackin’ foxy. Your comic has always been the highlight of my day! The fact that you have a chicken only makes you even more dapper in my opinion by the way. Thanks for the comic’s and as someone said earlier.. do not appologize ever! there is no need. You know, I was looking at those old posts and a thought occurred to me… Does Chase still thinks he is fighting Count Chocula? NO! I have red the entire comic in two days! It cant end here! UPDATE MOAR!